« The Greatest Thing Since Sliced Bread…..
B.E.A.C.H. Vacation – Doing What You Want to do! This past week I was at the beach but I was in the water very little. I was in a condo and outside there are waves crashing and lots and lots of sand. But my “place” for this week was not on the seashore. Oh, I dipped my toe into the salty solution a couple of times (here’s one) But I didn’t go to the beach to swim or to sun. I know, very weird and my children and grandchildren didn’t like it. Not one bit. They argued, complained, and tried everything possible to persuade me to do otherwise. One of my daughters even bought me a new book and said that I “had” to sit outside and just read and relax. But that’s not why I came. B – Bond with Florida family members I have not seen in years and fellowship with them over a meal. 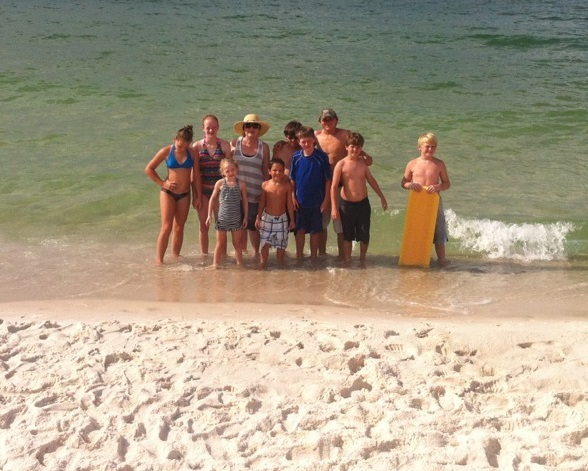 Two separate days, we had Florida family members come to visit with us in our beach condo and that was great. 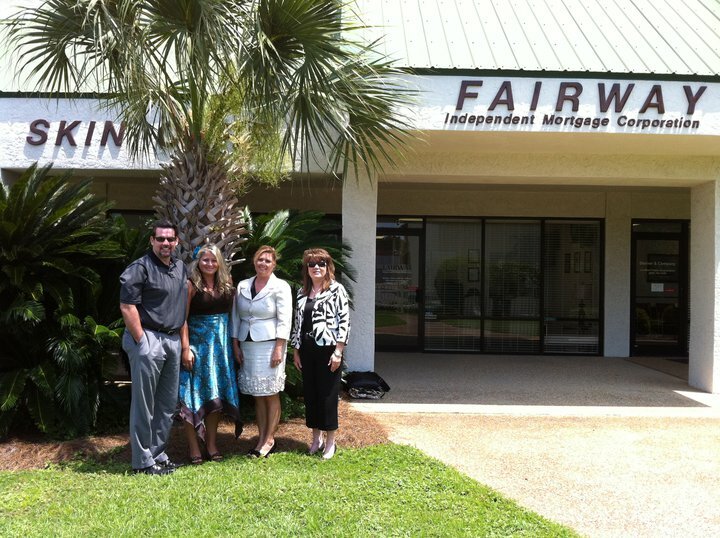 E – Engage with my Fairway Florida Family, my Florida team, and visit with them about their business and their life. It’s a long way to Panama City from Louisiana and I don’t visit my office nearly enough. But it was only 120 very scenic miles from Orange Beach to my Florida office – so one day I set aside for this. A -Agenda – I came with one. I can joyfully say that almost 90% of what I wanted to accomplish – I did! I almost used the word “adventure”.. One of the definitions of “adventure” is “…..an exciting or very unusual experience”. Other than a trip to the ER with one of the grandsons everything was pretty “usual”. Now I will say that several tried to talk me into some “unusual” experiences, but I will NOT parasail. I just kept creating a made-for-TV movie in my mind about a family on vacation deciding to parasail and then something going wrong and the rope breaking and the family drifting over the water for days and ending up on a deserted island………you get the picture! So, at least for this week, I did NOT parasail so I won’t use the word “adventure”. Maybe another day (or year) on that. C – Complete a book project that has been on the back-burner for TOO long. It is now DONE and hopefully this year the book will be out this year. I took some early morning hours on the balcony overlooking the ocean, laptop keys clicking, focused on finishing – and I just got it done. What a breath of salty air! Mediator – 16 grandchildren, you know there are going to be some arguing ….or is that just my family? and to be a ….. Spiritual counselor – I told them all the WORD for this week was GRACE and I had to remind them of the word several times! And to ….. 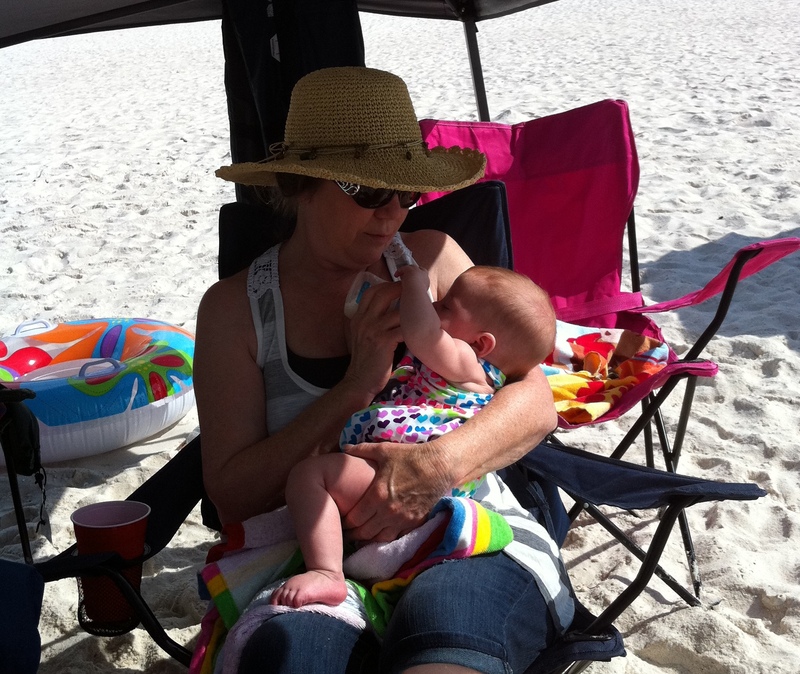 Hang out with the grandkids…. Since the Farmer was stuck on the farm (I think he enjoyed his “vacation” of being by himself! ), my mission was help whenever or wherever I could with my children and grandchildren. So….for me this past week – life was a B.E.A.C.H. It was grand and wish you could have been there! How blessed are you to be surrounded by so much family…and how blessed are they to have you! I’m so glad you got away for a while and did the vacation YOU wanted and needed to do. I think you were wise to bypass some of the “adventures”. Wisdom truly does come with age. ha ha! Contracts on the book… you rock! And it all sounds like my kind of vacation. Talk with you soon.